While most liability insurance policies pay for events that occur during the policy period, D&O policies pay for lawsuits filed during the period; in other words, the wrongful act does not need to have occurred during the policy period for D&O insurance coverage to take effect. Talk with your insurance provider to determine whether a claims-made policy or occurrence policy is best. In the event that your D&O policy is replaced or cancelled, a claims-made policy will not provide protection for lawsuits brought during the uninsured period. To protect yourself and your colleagues from events that took place prior to expiration or cancellation of your policy, consider extended reporting period (ERP) coverage. 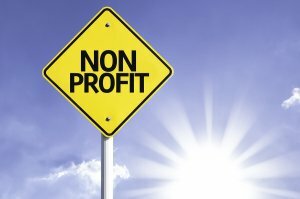 One of the most common lawsuits brought against non-profit organizations deal with employment-related practices. When designing your D&O policy, check the policy’s definition of “wrongful employment acts” and make sure discrimination suits brought by third parties are covered. Including employment practice claims in your organization’s D&O policy could affect the limit of liability available for other claims, so work with your New York City insurance provider to determine the appropriate coverage and liability limits for claims.